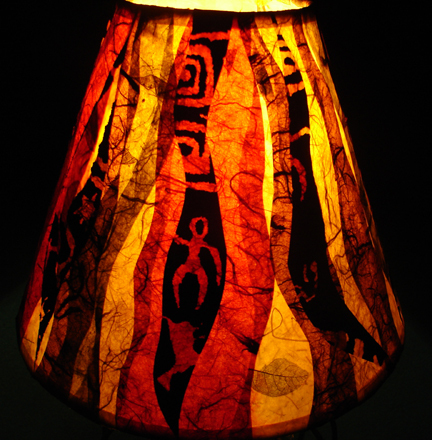 "Lighten Up" specializes in shades to enhance the work of other artisans, especially potters. Lighting is what gives a room character and comfort. 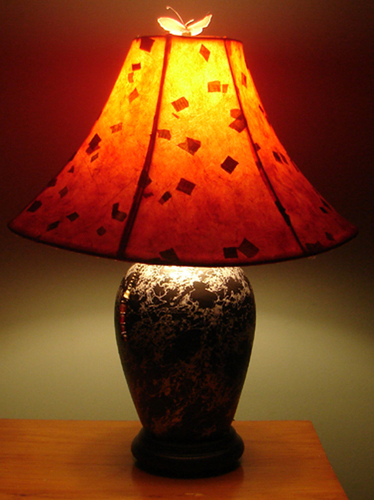 Good lighting relaxes, warms and provides a soothing, atmosphere for the senses. The visual strength and beauty of a lamp can uplift and inspire, making it a perfect choice for personal usage as well as for gifting. Changing or up dating the lighting in a room is one simple, inexpensive way to give a favorite room a make over. I have found contemporary lighting to be, generally, too neutral and just plain boring. 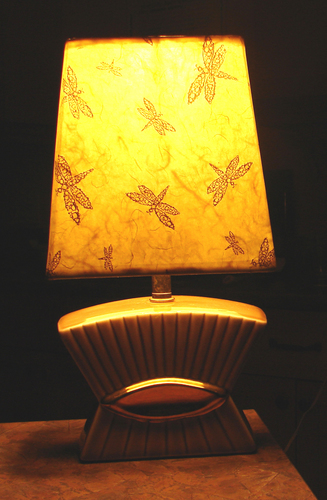 â��Lighten Upâ�� adds a sense of interest and atmosphere to any room. Just re-creating an existing shade can change the feel of a room in an instant. 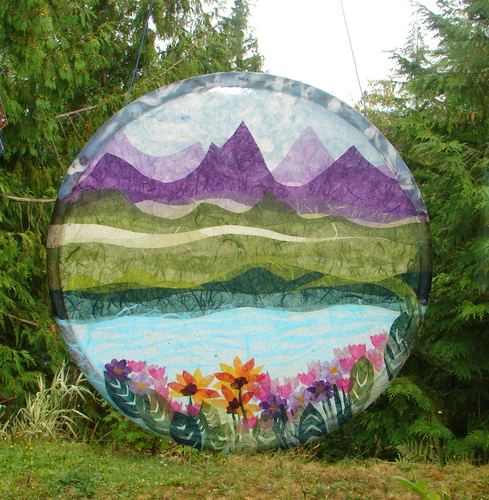 Lighten Upâ�� was born from a love of the rich colour and the texture of handmade papers. Add light to the mix andâ�¦ voilaâ�¦. a gorgeous, yummy feast for the eyes. 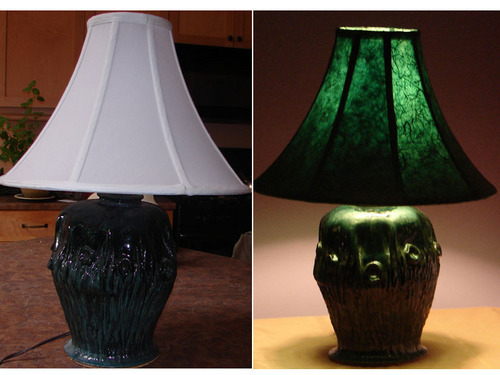 Your boring, white or beige shade can be easily transformed into a unique, functional art piece which will match you lamp as well as your decor. Choose a paper from my collection of exotic, translucent neutral and earthy; or rich and colourful papers. All lamps and shade are supplied with a "power smart" light bulb, so you will never feel guilty leaving it lit. Lighten Up is now pleased to introduce "Window Art".